In the Rocktopia "CD Reviews" section, you'll find a review for an act called Tritonus. 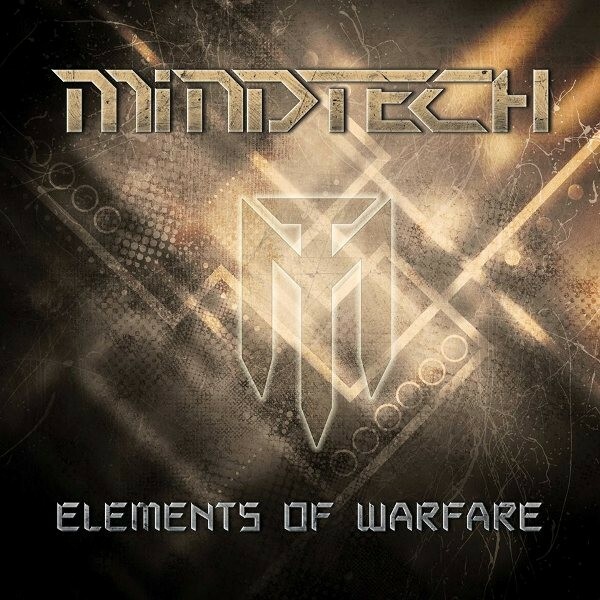 Mindtech seems to be an offshoot from that band for Tritonus guitarist Thor-Axel Eriksen. Eriksen decided that he needed something to do whilst waiting for the release of the Tritonus album (which took over twenty years to be achieved) and Mindtech became that something. The band itself combines Melodic Progressive Metal with a heavier more intense style of Rock that fuses together elements of acts such as Iced Earth, Nevermore and In Flames. Mindtech though have an attitude all their own and they also seem to be a much more aggressive band musically than Eriksen's main act Tritonus. Because of this, apart from his guitar work, there is little crossover musically between the two acts (which is a good thing). Kicking things off with the angry 'Lords Of War' Mindtech set their wares out on the table so that all can sample them. It is this anger, that's prevalent throughout the album and its songs, that is the driving force behind Mindtech's music. 'Absolution', 'No Solution', 'Salvation', 'Sons Of God' and 'My Crusade' all have it and fury propels them forward scratching and biting as they are played. Eriksen has really put his heart and soul into this album, wringing as much emotion and angst from his guitar as he possibly can and then pouring it into the Mindtech songs. Whichever band he finally opts for, be it Mindtech or Tritonus, they will be very lucky to get a guitarist and songwriter of such a high calibre.